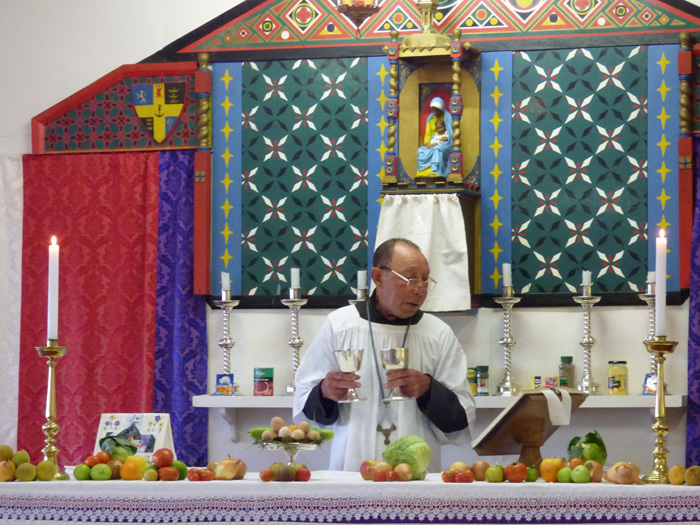 On Sunday 11th March 2019, we celebrated Mother’s Day and Harvest Festival in both churches. 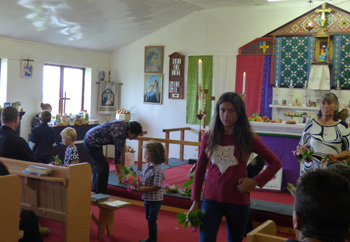 Both services were well attended, with the community having a lot to be thankful for, this year giving a good harvest. Mothers, Grandmothers, Aunts and female loved ones were treated to bouquets of fresh flowers from the children. The rest of the day was spent visiting loved ones and Mother’s being treated to a specially prepared meals or day out. It was a lovely sunny day enjoyed by all. Lay Minister Lars Repetto leads the Harvest Festival and Mothering Sunday service in St Mary's Church. 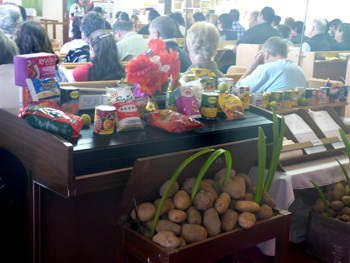 St Mary's Church decorated with donated goods. Children giving flowers to their mothers, grandmothers and aunts.